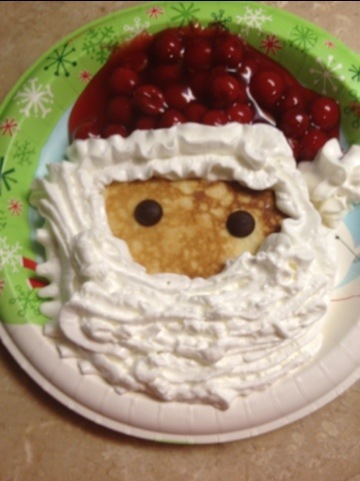 This year we started a new tradition, Santa pancakes! I used strawberry pie filling for Santa’s hat, a large chocolate chip for his eyes and whipped creme for his beard and the trim on his hat. My kids loved them and they were delicious! A great way to celebrate the build up to Christmas.